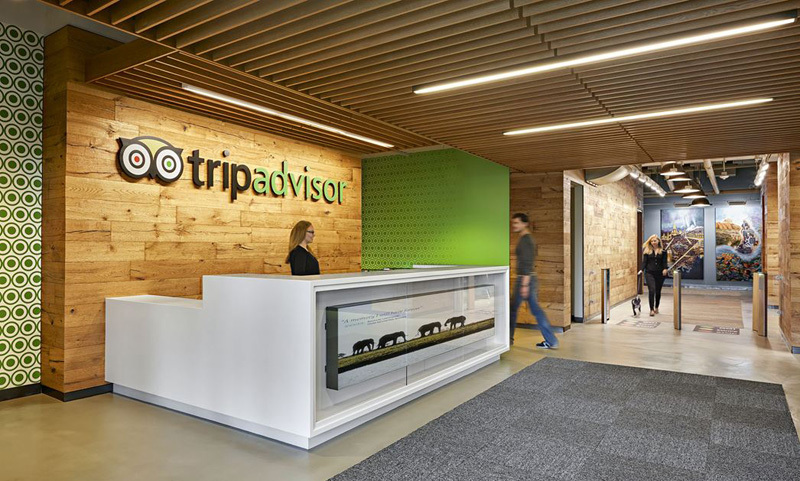 BDG together with developer Normandy Real Estate Partners and Elkus/Manfredi Architects, have designed the new TripAdvisor headquarters in Needham, Massachusetts. 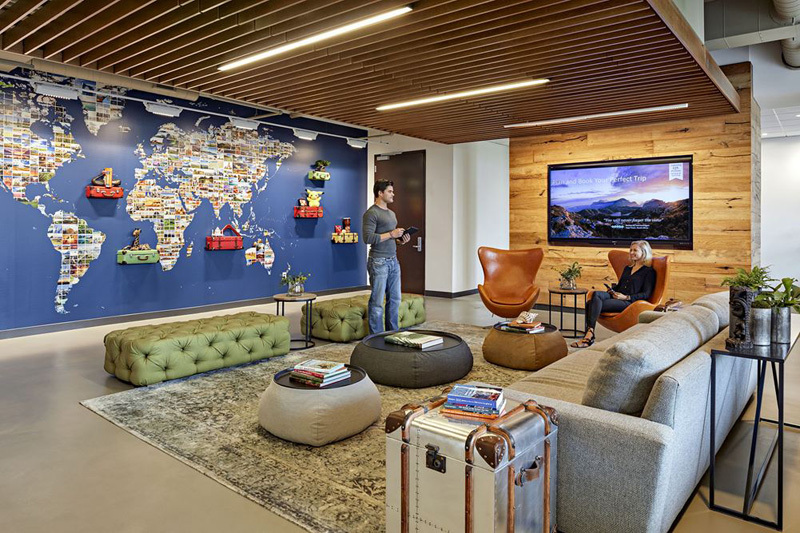 Inspired by exciting destinations around the globe, and world class visitor experiences, this nimble, fast-moving travel website and technology company asked for their new headquarters to become a daily “must see and experience” event for their present and future employees. 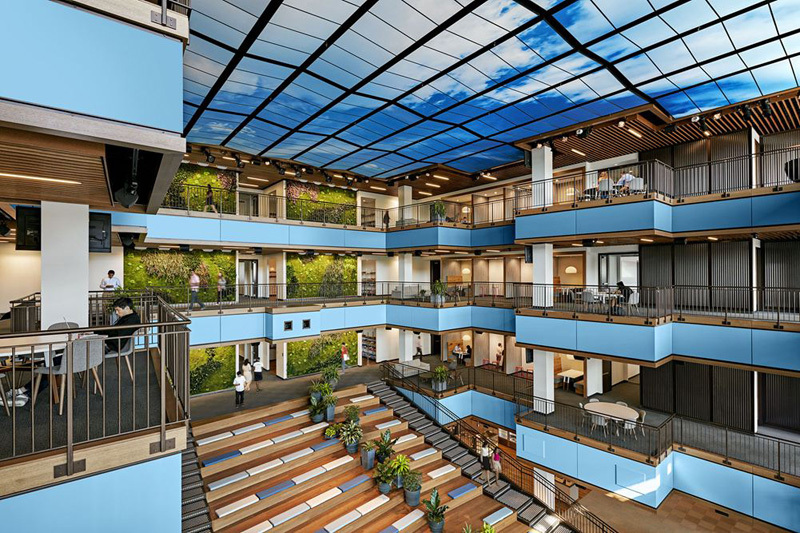 The company’s new 282,000 sq. 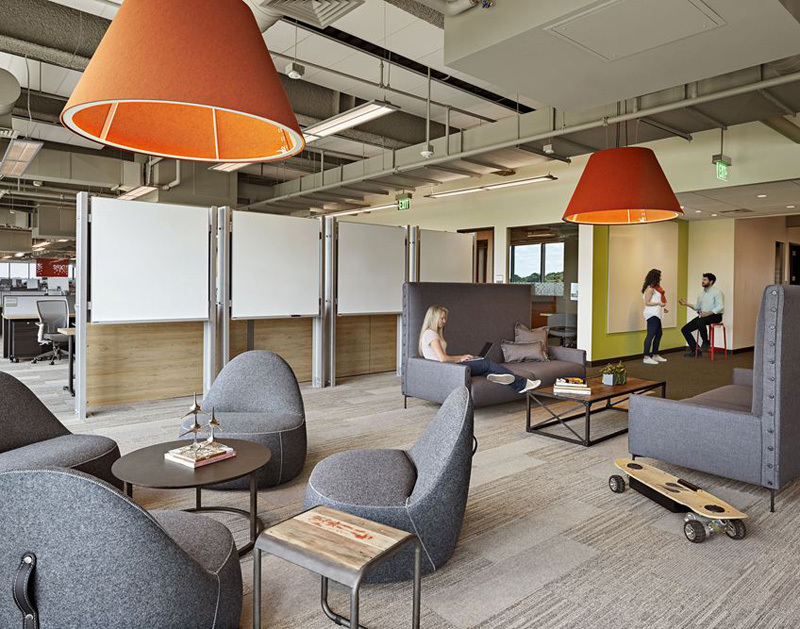 ft. building houses a wide variety of working and social environments focusing on creating both collaborative communities and areas for quiet concentration for employees and partners. 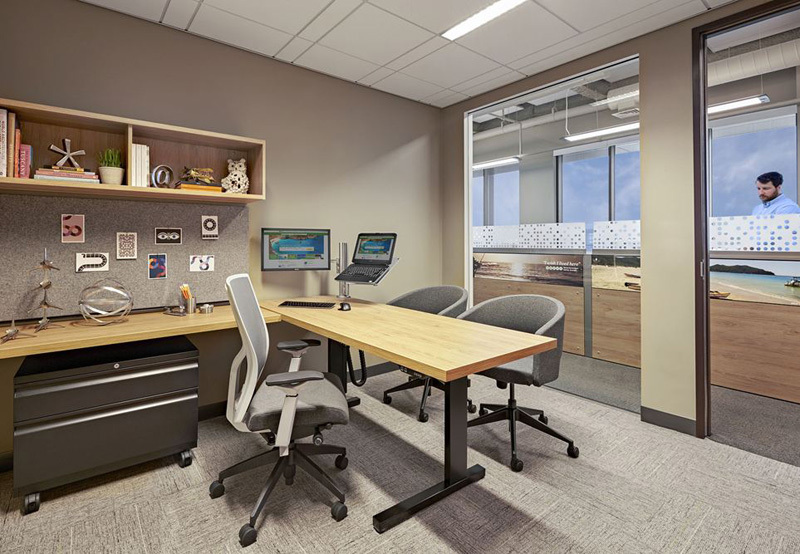 Leading-edge technologies are integrated throughout the building connecting the headquarters to customers and collaborators around the world. 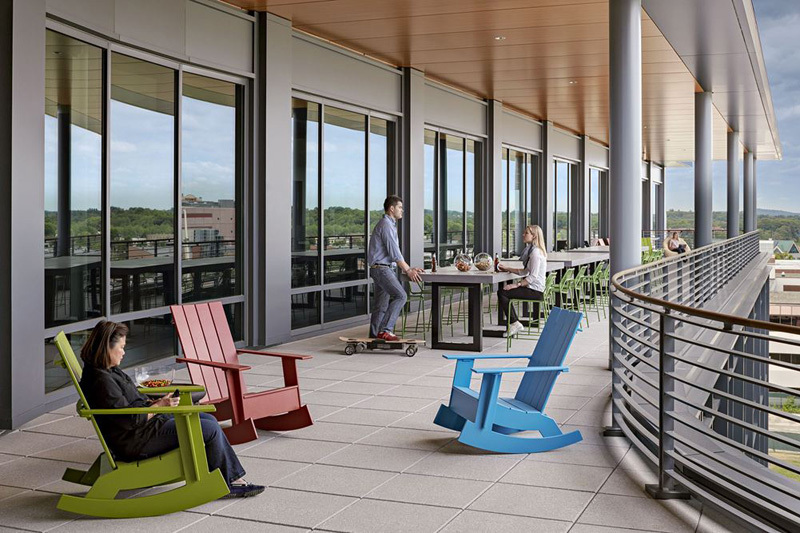 BDG played a double role in the design of the new headquarters. 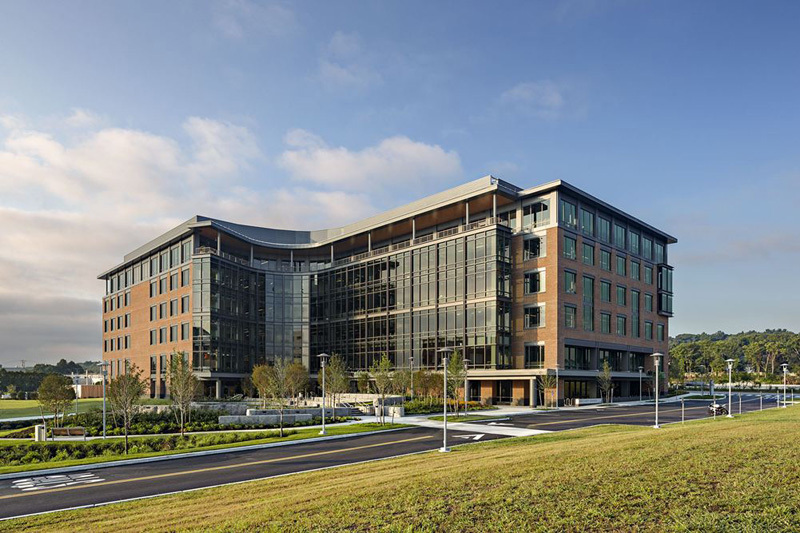 Representing the company, BDG inspired the design direction of the new building in collaboration with Developer Normandy Real Estate Partners and Elkus/Manfredi Architects to transform the previously generic office park building into Phase 1 of a new corporate campus and building design that celebrated the New England heritage of manufacturing previously on the building site. This new design approach was met with enthusiastic support from both the town and project team. 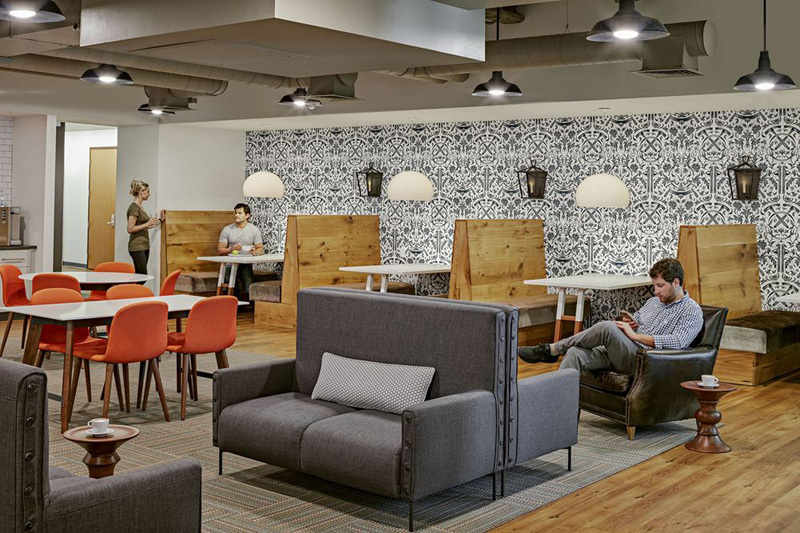 On the interior of the new building the BDG Team created an “un-corporate” working environment that is both timeless and authentic in its appeal. 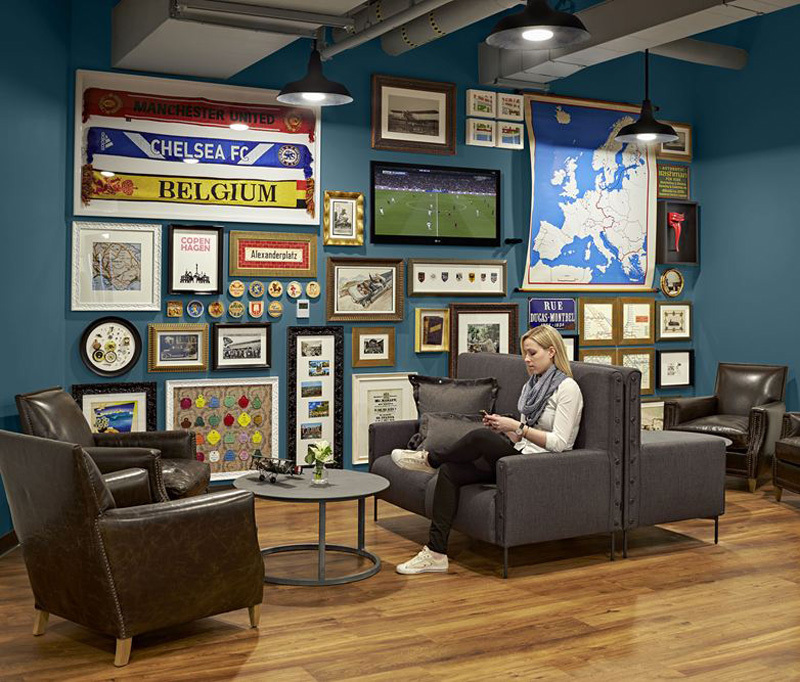 The goal for the design of the office workspaces was to create a warm and welcoming “modern industrial loft” working environment. 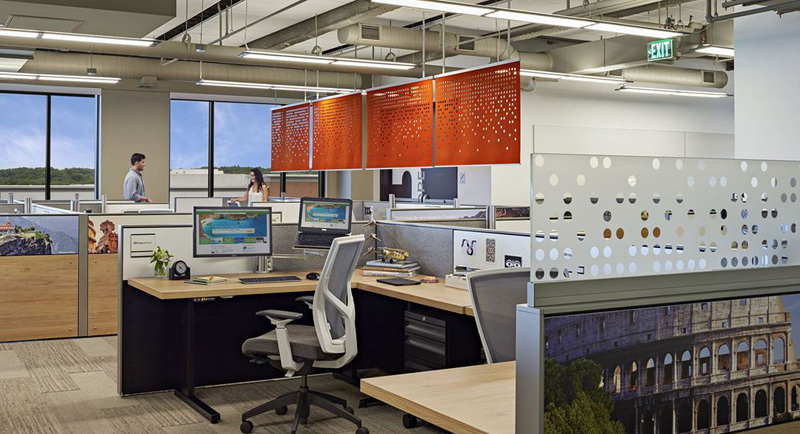 Instead of hiding the structure and building mechanical systems that support the workspaces behind suspended acoustic ceilings, the structure and systems are exposed to become design elements in the creation of a modern loft space. 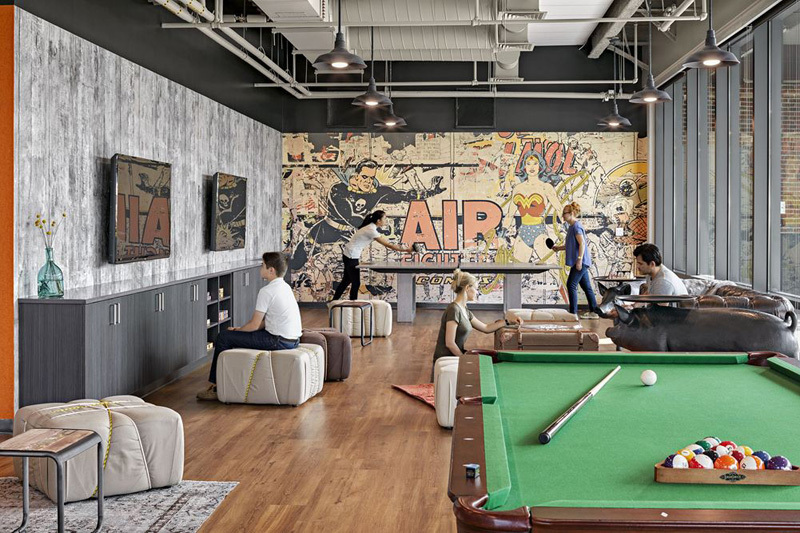 The open ceilings, exposed structure, lighting, finishes, colors, flooring, furniture, and workstation design have all been selected to work in concert to achieve the company’s goals and ambitions for their new complex. 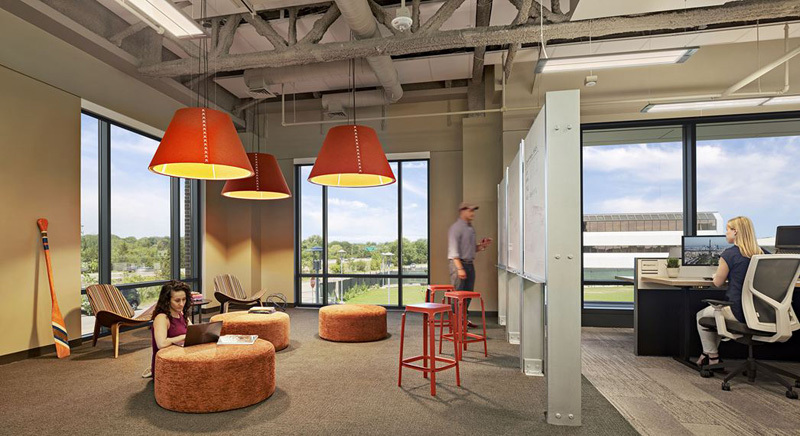 At the heart of the new building is an unconventional “Forum” space that supports their constant need for team meetings and collaboration. 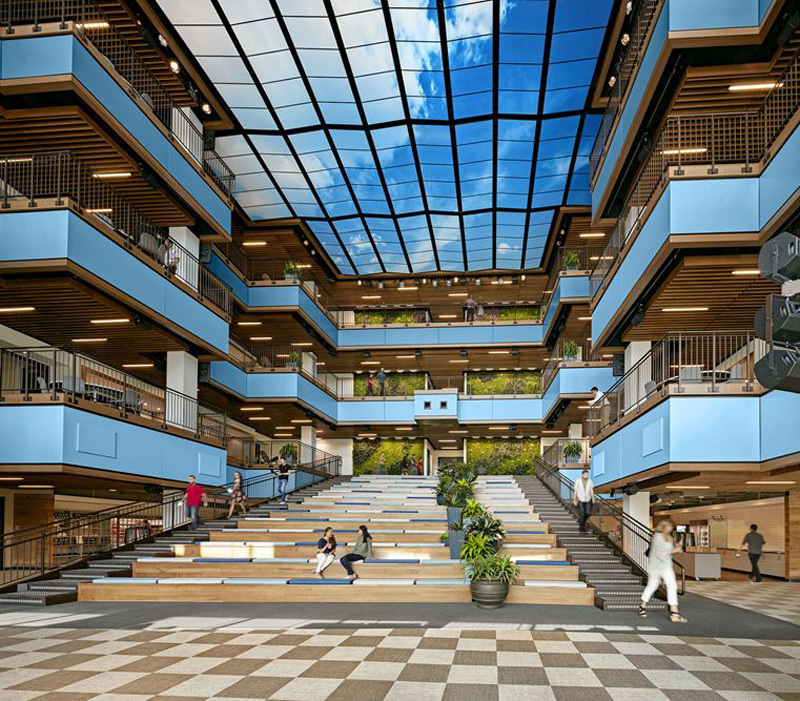 This multi-story atrium will be a daily beehive of activity that can be instantly transformed into a theater to support their all-hands quarterly meeting broadcast, streamed online to offices around the world. 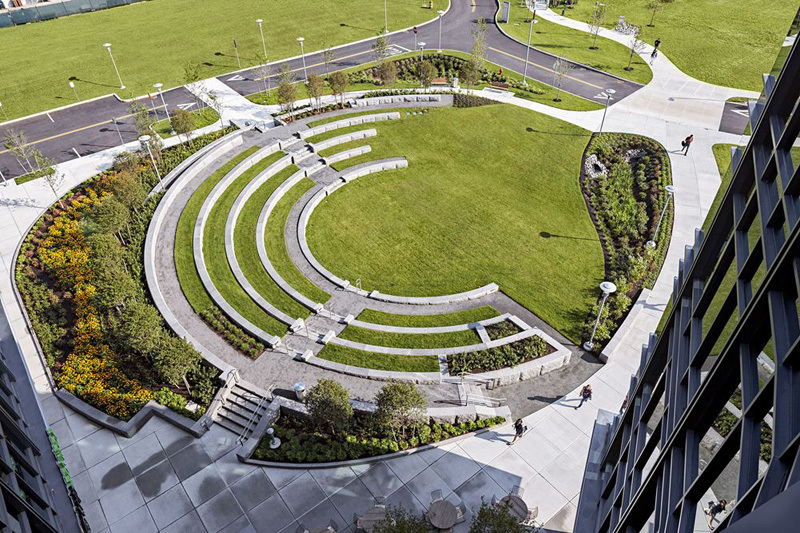 The Forum can seat 1,100 employees during the quarterly meeting, and is an extension of the café and dining facilities, containing a variety of social venues, fireplace, a modern version of Rome’s Spanish Steps, three-story tall vertical garden walls, and a blue sky ceiling.